Treat dad with one of these 24 ways to celebrate Father’s Day in Lake County. There are many ways you can show your dad how much you love them: a homemade card, a piece of his favorite pie from one of the farmer’s markets, plan a golf outing or watch the pros do it by scoring him some tickets to the KPMG Women’s PGA Championship. Whatever it is you do for Papa Smurf day, they’d probably appreciate if you didn’t get them a commander in chef or a grillmaster apron. 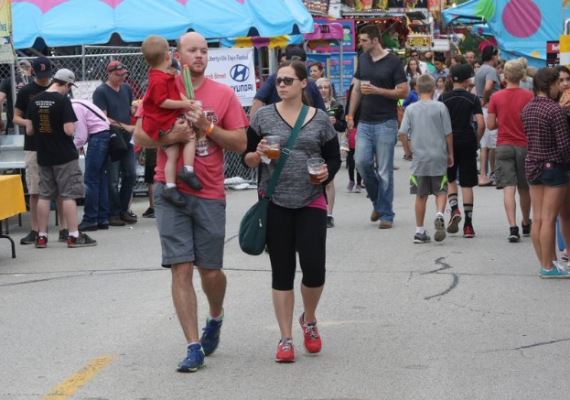 Here are 24 ways to celebrate Father’s Day in Lake County. All of the events run from June 15-17. Rum Old Fashioneds with our Bourbon Cask Rum, so good! #RumOFftw Happy Monday indeed. For other ways to celebrate Father’s Day in Lake County, click here.